I have read quite a few threads on removing the dash. I have tried to follow some of the explanations but I am a visual learner and have come to a haunt. 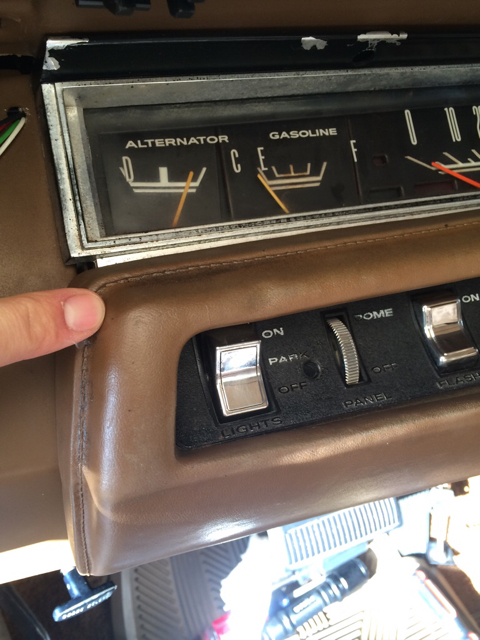 I cannot get the switch panel out and I have tried to pull the lower dash pad off but it seems like it is stuck or it is attached in the area I have pointed out in the picture. I took off all of the speed nuts that hold on the pad (8). I Un-clipped all the switches and have tried to drop the steering column but it didn't move. I loosened the bolts but do I need to remove them completely and is there anything else I can do to make this any easy. Any help here would be appreciated. over time, the padding around your switch panel becomes hard and less pliable. you have to be very careful at this point removing the switch plate. if you can take a blow dryer to it and warm it up, or get the car out in the sun, that would help soften up that old vinyl padding. i cracked mine trying to force out the plate, so take your time. But the switch plate has to come out first, right? Switch panel definitely needs to come out. I broke my dimmer switch the first time I went to take mine out as the opening in the dash frame is just barely large enough for it, have to have the panel at exactly the right angle to get it in or out. It will be much easier if you drop the steering column, take out the 4 bolts holding the plate to the firewall, you can see the lower two in your second picture. 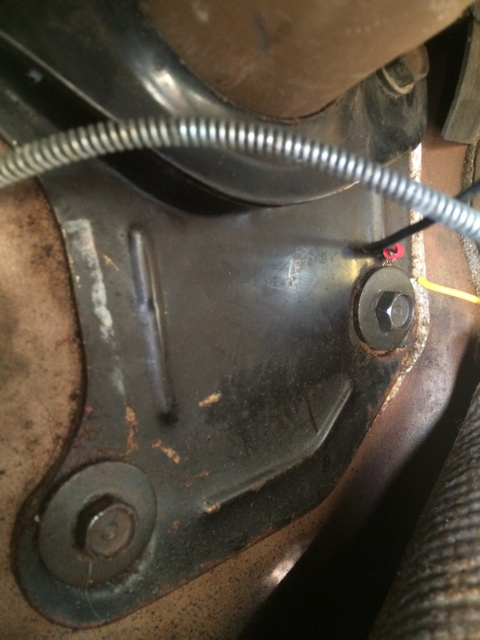 Then take the little dash cover plate that sits under the column off, I believe it's just held on with 2 screws. There's a column support cradle that's underneath that has to be removed, on my car it's got two nuts on each side, one of which holds the ground wire for the column. Be careful removing these as at this point they're all that is holding up the column. I usually just brace it with one hand and ease it down onto the drivers seat. After you've got the column dropped you'll have a much easier time getting inside the dash to loosen up the nuts that hold the lower dash pad on so you can wiggle it around some. I'm thinking there's probably another nut holding it somewhere you didn't get to if it won't move at all. Just take your time find the right angle and ease the switch panel out slowly. Good luck! They can be a real pain. Sometimes it easier to just pull the glass and take the whole dash assembly out to work on it.